A great summer look and wide rimmed straw hats actually look really good with a loosly tied scarf, believe it or not. great post girl!! i love the first and third picture. I'm Muslim myself, but personally i don't like wide leg pants, they pretty much sallow you up and look baggy tacky. yer great post. looove the first pic. Wide leg trousers have to be treated very carfully, with a tunic you can be at risk of looking a bit like a fir-tree... a-line over a-line! I like the blouse with high waisted look covered by a longline cardi, also, the fist picture is the epitome of chic for me with widelegs, love the little hat too may have to style a scarf around that... My difficulty is finding wideleg trousers that hang well, fit well but are not too tight in the crotch.. plazzo pants! More experimentation is definitely warrented ladies! oh my i love this! 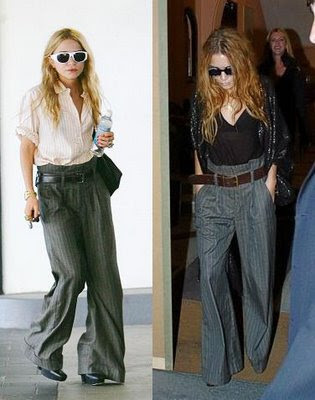 i really dony like wideleg pants they look too clown like nd masculine, esp wen ur petite u just get swamped! !